To trace the origin and history of the mystery story is simply to trace the origin and history of man's mind. Mystery stories were told and wonder tales invented before the days of old Rameses, before the Sphinx was hewn or Samson born. And indeed the rousing of latent curiosity, the tempting with a promise to divulge, which is the vital principle of the mystery story, began no later than with the subtlety of the Primal Serpent. There is no country which has not its quota of traditional and folk-lore tales, founded almost invariably on some element of mystery, surprise or suspense. And why? Because the interest of the eternal audience is "gripped" by a desire to know the unknown. Because the ancients told and retold stories of mystery with never failing success. These tales lived. Translated, rewritten, paraphrased, they are still living, because of their ever new appeal to the very human trait of curiosity. Take the story of "The Clever Thief." It comes from the Tibetan, from an ancient Buddhist book that goes back nearly a thousand years. But even then it was not new. Missionaries had carried it thither from India in an odd corner of their bags, or in some chamber of the memory not filled with the riddles of being. Where did they get it? Who can say? It was old when Herodotus wandered through sun-lit Egypt twenty-four centuries ago, gleaning tales from the priests of Amen and of Ptah. He tells it, point for point, as did those Buddhist missionaries, but lays it in the days of Rameses, nigh four thousand years ago. Everything is there; the cutting off of the head to elude detection, the tricks by which the relatives mourn over the headless trunk, the snare set for the thief and his outwitting it. And that same tale, like good merchandise, was carried both east and west. It found its way to India, over the vast Himalayas, to the gray roof of the world. It came with equal charm to the Mediterranean isles, up the Adriatic coasts, and as far as Venice. There Ser Giovanni told it, transmogrifying Pharaoh of the Nile into a worshipful Doge, as he had already been made over into a Buddhist magnate, but in no way altering the motive, the suspense, the artfulness of the tale. What is this story then? Is it Venetian? Is it Pharonic? Is it Greek? Is it Tibetan? It is all these, and perhaps something more, vastly older than them all. Its craft, mayhap, goes back tot that primal serpent who, more subtle than all the beasts of the field, has ever inspired darkling feints and strategies. Stories whose motive is a subtly discerned clew are not less primordial. The most vivid of these tales of deduction are, perhaps, those which come to us through the Arabs, in their treasure store, "The thousand and one nights." The Arabs gleaned them from every land in southern Asia, and from most ancient Egypt, in those days when Moslem power overshadowed half the world. And then they retold them with a charm, a vivid freshness, a roguishness, and a dash of golden light through it all that make them the finest story-tellers in the world. Though many of these tales excite merely wonder and surprise, others have the germ of that analytic deduction from inconspicuous clues, that we call ratiocination, or the detective instinct. There is an Arabic story, called "The Sultan and his Three Sons." From this we quote two illuminative passages which employ the principle of deductive analysis. And they stinted not faring till the middle way, when behold they came upon a mead abounding in herbage and in rain-water lying sheeted. So they sat them down to rest and to eat of their victual, when one of the brothers, casting his eye upon the herbage, cried, "Verily a camel hath lately passed this way laden half with Halwa-sweet- meats and half with Hamiz-pickles." "True," cried the second, "and he was blind of an eye." Hardly, however, had they ended their words when lo! the owner of the camel came upon them (for he had overheard their speech and had said to himself, "By Allah, these three fellows have driven off my property, inasmuch as they have described the burden and eke the beast as one- eyed") and cried out, "Ye three have carried away my camel!" "By Allah we have not seen him," quoth the Princes, "much less have we touched him;" but quoth the man, "By the Almighty, who could have taken him except you? and if you will not deliver him to me, off with us, I and you three, to the Sultan." They replied, "By all manner of means; let us wend to the sovereign." So the four hied forth, the three princes and the Cameleer, and ceased not faring till they reached the capital of the King. Presently, asked the Sultan, "What say ye to the claims of this man and the camel belonging to him?" Hereto the Princes made answer, "By Allah, O King of the Age, we have not seen the camel much less have we stolen him." Thereupon the Cameleer exclaimed, "O my lord, I heard yonder one say that the beast was blind of an eye; and the second said that half his load was of sour stuff." They replied, "true, we spake these words;" and the Sultan cried to them, "Ye have purloined the beast, by this proof." They rejoined, "No, by Allah, O my Lord. We sat us in such a place for repose and refreshment and we remarked that some of the pasture had been grazed down, so we said: This is the grazing of a camel; and he must have been blind of one eye as the grass was eaten only on one side. But as for our saying that the load was half Halwa-sweetmeats and half Hamiz-pickles, we saw on the place where the camel had knelt the flies gathering in great numbers while on the other were none; so the case was clear to us (as flies settle on naught save the sugared) that one of the panniers must have contained sweets and the other sours." hearing this the Sultan said to the Cameleer, "O man, fare thee forth and look after they camel; for these signs and tokens prove not the theft of these men, but only the power of their intellect and their penetration." Later Voltaire used this method for his "Zadig," Poe for his "Dupin," and Gaboriau for his "M. Lecoq;" while later still it reappeared as the basis of the "Sherlock Holmes" stories. The story of "The Visakha" is nearly a thousand years old, but the following quotation will prove that the element of acute observation is the same as that described in a previous story proving the wisdom of Solomon. After she had taken charge of the boy the father died. A dispute arose between the two women as to the possession of the house, each of them asserting that it belonged to her. They had recourse to the King. He ordered his ministers to go to the house and to make inquiries as to the ownership of the son. They investigated the matter, but the day came to an end before they had brought it to a satisfactory conclusion. In the evening they returned to their homes. Visakha again questioned Mrgadhara, who told her everything. Visakha said, "What need is there of investigation? Speak to the two women thus: 'As we do not know to which of you two the boy belongs, let her who is the strongest take the boy.1 When each of them has taken hold of one of the boy's hands, and he begins to cry out on account of the pain, the real mother will let go, being full of compassion for him, and knowing that if her child remains alive she will be able to see it again; but the other, who has no compassion for him, will not let go. Then beat her with a switch, and she will thereupon confess the truth as to the whole matter. That is the proper test." Mrgadhara told this to the ministers, and so forth, as is written above, down to the words, "The king said, 'The Champa maiden is wise.'" Riddle Stories, as we have chosen to designate them, are Mystery Stories concerned with a question and answer of absorbing interest, but one which in no way implies or includes the work of a detective, either professional or amateur. As a rule, Riddle Stories are not based upon a crime, but on some mysterious situation which is apparently inexplicable, but which turns out to have a most rational and logical explanation. 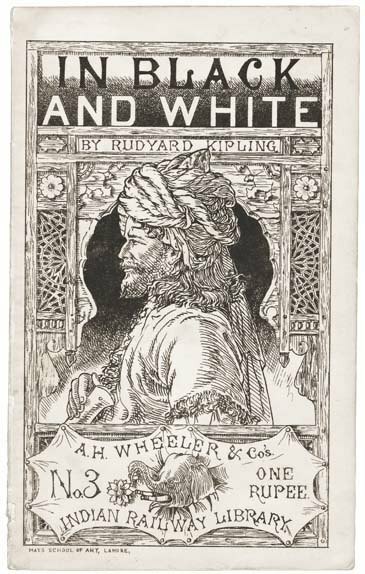 "The Sending Of Dana Da" by Kipling, is one of the best stories of this type. When a man who hates cats wakes up in the morning and finds a little squirming kitten on his breast, or puts his hand into his ulster pocket and finds a little half-dead kitten where his gloves should be, or opens his trunk and finds a vile kitten among his dress shirts or goes for a long ride with his mackintosh strapped on his saddlebow and shakes a little sprawling kitten from its folds when he opens it, or goes out to dinner and finds a little blind kitten under his chair, or stays at home and finds a writhing kitten under the quilt, or wriggling among his boots, or hanging, head downward, in his tobacco jar, or being mangled by his terrier in the veranda—when such a man finds one kitten, neither more nor less, once a day in a place where no kitten rightly could or should be, he is naturally upset. When he dare not murder his daily trove because he believes it to be a manifestation, an emissary, an embodiment, and half a dozen other things all out of the regular course of nature, he is more than upset. He is actually distressed. No one could know the truth until told and the explanation is entirely logical and satisfactory. Indeed, as the author says, finally: "Consider the gorgeous simplicity of it all." A clever Riddle Story is one by Cleveland Moffett, entitled "The Mysterious Card." In this story, a New Yorker, while in a Paris restaurant, is presented with a card by a charming and richly clad lady. The card bore some French words written in purple ink, but not knowing that language he was unable to make out their meaning. He returned at once to his hotel to inquire concerning the message on the card. Proceeding directly to the office and taking the manager aside, Burwell asked if he would be kind enough to translate a few words of French into English. There were no more than twenty words in all. "You must leave the hotel now—to-night—without fail," commanded the manager, excitedly. Now it was Burwell1 s turn to grow angry, and he declared heatedly that if he wasn't wanted in this hotel there were plenty of others in Paris where he would be welcome. And, with an assumption of dignity, but piqued at heart, he settled his bill, sent for his belongings, and drove up the Rue de la Paix to the Hotel Bellevue, where he spent the night. The next morning he met the proprietor, who seemed to be a good fellow, and, being inclined now to view the incident of the previous evening from its ridiculous side, Burwell explained what had befallen him, and was pleased to find a sympathetic listener. "This is a serious matter," he said sternly. "Now I understand why my confrere refused to entertain you. I regret, monsieur, but I shall be obliged to do as he did." The rest of the story is a succession of the hero's unfortunate experiences in endeavoring to solve the mystery of the card. He referred it to his dearest friend, to a detective agency, to the American Minister, and finally to his wife, but in every case the reader of the card turned from him in horror and dismay and refused to see or speak to him again. In the sequel to the story, called "The Mysterious Card Unveiled" the mystery is explained to the satisfaction of the reader. Of course the best Riddle Story of its kind ever written is that masterpiece of Frank R. Stockton, "The Lady or The Tiger?" but this principle of leaving a question unanswered is not to be advised for any writer not possessing Stockton's peculiar genius. As well as short-stories, there are many entire novels with a mystery interest but which are in no sense Detective Stories. "The Woman In White" is a good example. This book is said to have been the most popular serial story ever printed. On the publication day of the weekly in which the story was appearing in parts, the street in front of the office was thronged with people anxiously waiting for a new instalment of the adventures of Laura Fairleigh, Ann Catherick, the treacherous Baronet, and the diabolically fascinating Count Fosco. The secret of Collins's power lies not in mere description but in suggestion. He excites us not by what he tells us but what he does not tell us. The compelling interest which holds the reader of "The Woman In White" is due less to the vivid description of dramatic incidents than to the artful suggestion of some impending fate. The distinguishing feature of the Riddle Story is that the reader should be confronted with a number of mysterious facts of which the explanation is reserved till the end. Now this reservation of the final solution, in order to pique the reader's curiosity, excite his ingenuity, and lead him on to an unexpected climax, is a quite legitimate artistic effect. The only question to be asked about it in any particular instance is whether it succeeds, whether the effect is really accomplished? And for its success two primary qualifications are necessary,—first, that the mystery should really be mysterious; second, that the explanation should really explain. The Riddle Story, then, is based entirely on a puzzle whose solution is a clever trick of the author and usually not to be guessed by the reader. Unlike the Detective Story, there are no clues, either true or misleading. The reader goes swiftly from his first surprise to sustained wonder, and then to an intense and abiding curiosity that lasts until the solution is flashed upon him. The plot is meant to catch the reader napping, and seldom indeed is he wide awake enough to solve the riddle. A distinct type of Riddle Story is that which describes a search for lost treasure. In so far as the searchers encounter mysterious conditions, or the reader is held in suspense concerning the meaning or outcome of the situations, in so far is the tale a Riddle Story. But to be a real Riddle Story, the mystery must be carefully built up, sustained and finally revealed with careful and coherent sequences. Poe's story, "The Oblong Box," is one of the greatest Riddle Stories ever written. The mystery is seemingly inexplicable. The interest is intense and the conditions partake of all the elements of ghastliness and horror. The solution is unguessable but entirely logical, and Poe's inimitable workmanship makes the story a masterpiece of its kind. Equally clever, in a totally different vein, is Kipling's "His Wedded Wife," and, different still, Aldrich's "Marjory Daw." In both of these, the surprise is perfect, and so inherent a part of the plot, so skillfully and swiftly worked up, that all demands of the true Riddle Story are complied with. In some Riddle Stories the interest is not in the unraveling of the web, but in the weaving of it. In De Quincey's "The Avenger" this is the case, and also in Bulwer's "A Strange Story." It is the strangeness of the story that captivates in these instances. The maze of mystery and hazard, and the confidence that it will all be made plain to us at last, provide sufficient charm to the lover of the Riddle Story. Crime and its detection have no part here, but mystery and paradox reign supreme. Another sort of Riddle Story employs the cypher or cryptogram plot, but this is of such importance as to require a chapter to itself. Poe's "Gold Bug" includes both the cryptogram and the buried treasure, and is of course the greatest story built upon either or both of these plots. A novel by James DeMille is called "The Cryptogram," and the cypher is the main point of the story. But more often, cypher or secret writing is used as a side issue or a picturesque device in a stronger mystery plot.